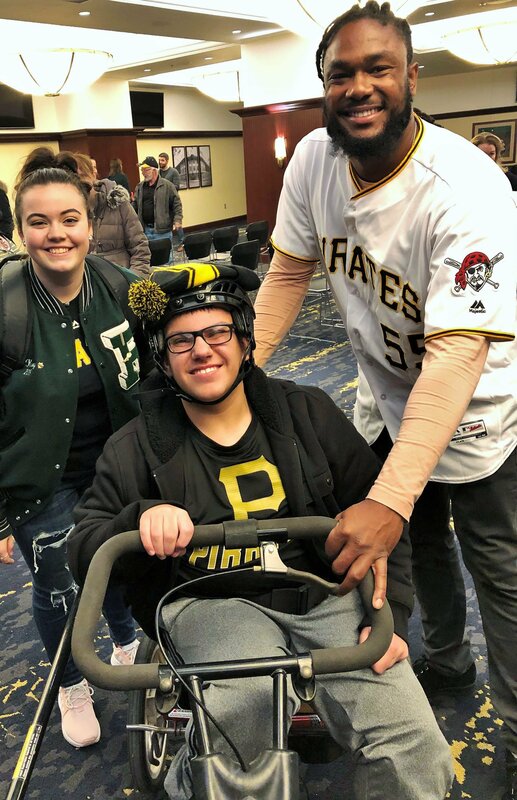 It was a “home run” at PNC Park on August 13, 2013, as 17 children with disabilities received their very own adaptive bikes through Variety’s “My Bike” Program. 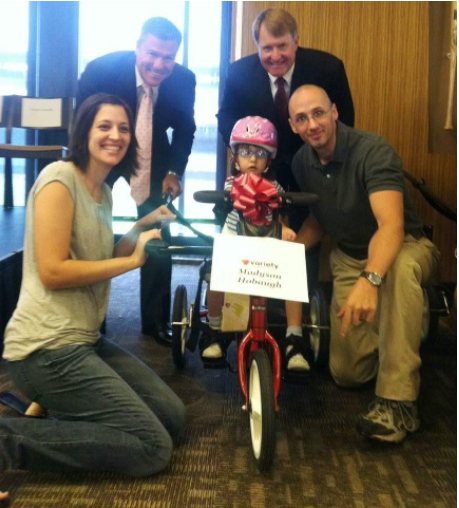 Madyson, age 4, from McKeesport, received her adaptive bike during “The Gift of ‘My Bike’ at PNC Park” event. 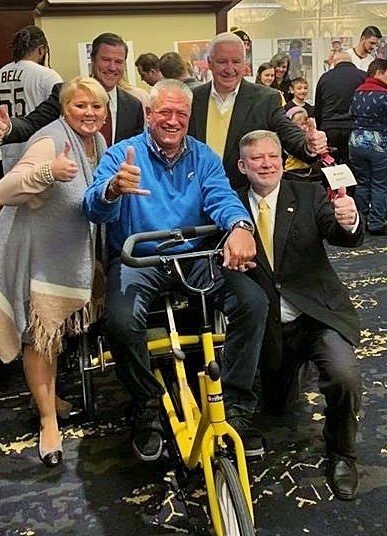 Madyson is pictured above with mom, dad, & “new friends”, Pittsburgh Pirates President Frank Coonelly & Allegheny County Executive Rich Fitzgerald. 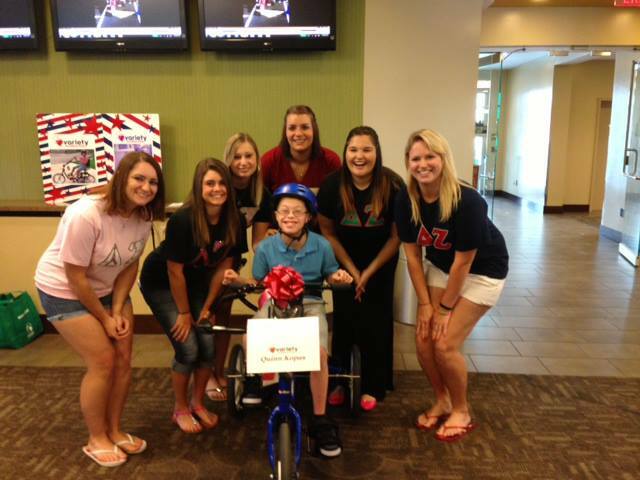 Quinn is pictured with some of his new friends — sisters of the Delta Zeta Sorority at Robert Morris University. Variety launched its “My Bike” Program during a press conference with Pennsylvania Governor Tom Corbett and Allegheny County Executive Rich Fitzgerald on Monday, November 5, 2012 at PNC Park. 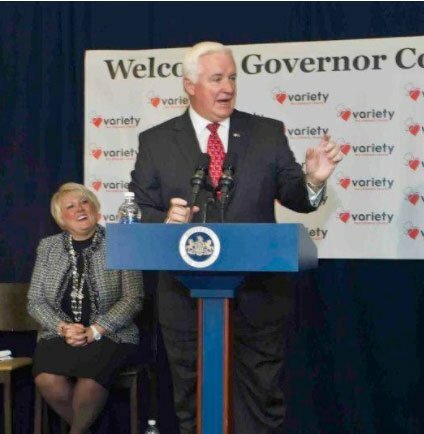 Governor Corbett at the event. At the press conference, Variety announced a goal of 200 sponsored adaptive bikes for children with disabilities by Christmas. 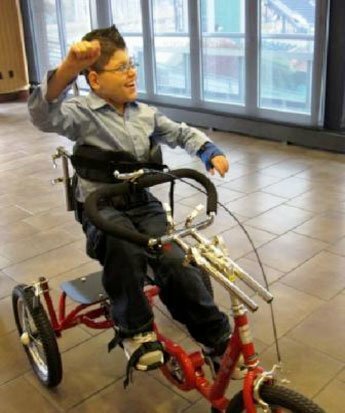 This goal was later exceeded and Variety received 220 sponsored or pledged adaptive bikes by Christmas 2012. 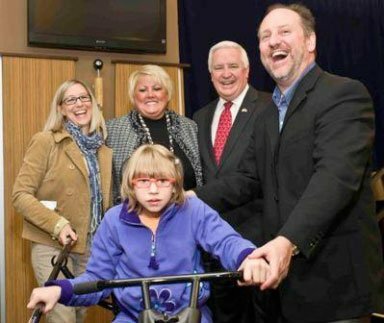 Aubrey was presented with the first bike of Variety’s “My Bike” Program by Andrea Carelli, Co-Chair of Variety’s “My Bike” Program & Senior Vice President of PNC, and Governor Corbett. Governor Corbett & Andrea Carelli with Aubrey & her family. Kody is all smiles as he shows off his riding skills at the event!